Autism is a complex developmental disability that typically appears during the first three years of life and affects a person’s ability to communicate and interact with others. It is defined by a certain set of behaviors and falls under the diagnostic category of a Pervasive Developmental Disorder. It is a “spectrum disorder” that affects individuals differently and to varying degrees. Two children, both with the same diagnosis, can act completely different from one another and have varying capabilities. It is important to understand that, whatever the diagnosis, children with autism can learn, improve in functioning, and show improvement with appropriate treatment and education. Autism can be diagnosed in children as young as one by observation using proper questionnaires and screening tools. 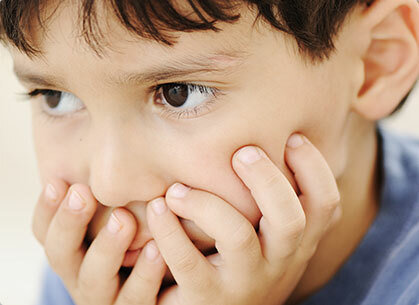 A developmental pediatrician, neurologist or psychiatrist familiar with developmental disorders can make a diagnosis. Studies have shown that early diagnosis and early intervention lead to significantly improved outcomes and better levels of functioning for those on the autism spectrum. To obtain a diagnosis for your child contact: Kern Regional Center-661-327-8531 (Intake Department); Get a referral from your pediatrician to get an assessment. If you have Medi-Cal, Kern Family Healthcare or Omni, contact them directly to get an assessment. Kaiser Permanente, contact them directly to have an assessment done. If you contact our office we will give you further information on other private entities that can locally do assessments as well 661-489-3335. There are many myths and misconceptions about autism. Contrary to popular belief, many children with autism do make eye contact; it just may be less often or in a different way. While sensory stimulation is processed differently in some children, they can, and do, show and give affection; patience and understanding are needed to recognize and appreciate their unique forms of expression. Many children on the autism spectrum can develop good functional language and others can develop some type of communication skills. Children do not “outgrow” autism, but symptoms may lessen as the child receives appropriate treatment. ASA firmly believes that autism is treatable and, through early intervention, those with autism, can live full, productive lives. For further info on Autism Spectrum Disorders: http://www.cdc.gov/ncbddd/autism/facts.html.